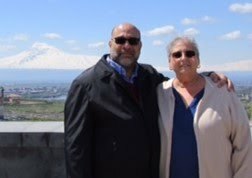 One of our main motives in creating this site was to help preserve the recipes and cooking traditions that Armenians brought to America in the last century. Wouldn't you know the federal government beat us to it by more than 70 years? The Federal Writers Project captured many vivid snapshots of American life in the 1930s while keeping otherwise unemployed writers afloat during hard times. 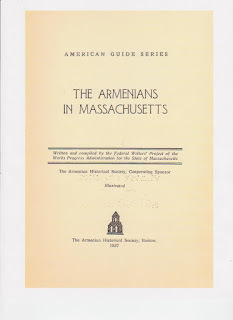 Much of that work has been rarely read, tucked away in dusty library basements, but now much of it is emerging in digital form on the Internet -- including a book called, The Armenians in Massachusetts. The title caught my eye because both sides of my family settled in Massachusetts before moving on to New Jersey when factory jobs became scarce in the 1920s. 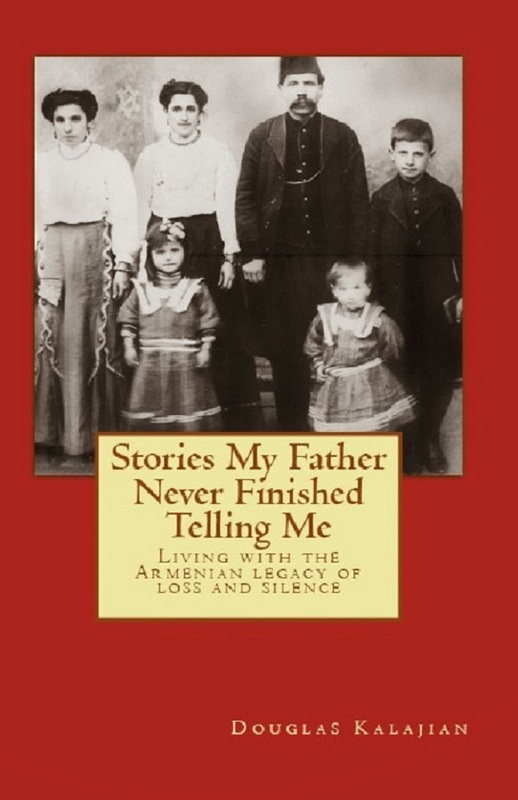 There's plenty of interesting material in the book about how Armenians lived, worked and made their mark from the early days of immigration in the late 19th and early 20th centuries. Our favorite chapter is called "Food." Some of the observations are amusing from this distance. Among them: Armenians in America often ate like Americans! On the other hand, "To the American observer it seems that the Armenian cook wields the spice-jar with too lavish a hand, and the use of oils and fats also seems rather excessive." But once such silly stuff is dispensed, there's a good deal of accurate and valuable information that captured the essence of the Armenian table: the ubiquitous appearance of parsley and onions, the essential role of bulgur and the ingenious use of every part of the slaughtered lamb, literally from head to feet. The chapter also explores the many variations of keufteh (meat kneaded with bulgur) -- plain, stuffed, fried, boiled and raw. The chapter concludes with several recipes lent to the authors by "Coco," described as a "famous Armenian restaurateur of Boston." You can download a copy of the book, as we did, at www.archive.org. While you're there, it's worth browsing for other Armenian titles, including the fascinating 1919 book The Armenians in America by M. Vartan Malcom.